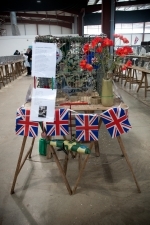 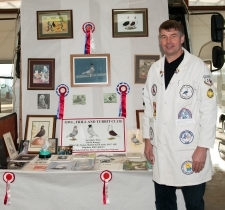 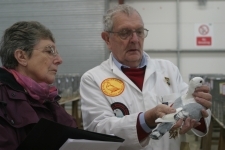 Keith and Gillians Chinese Owl, displayed in a copy of a National Peristeronic Society show cage, kindly donated to the show by this years Owl, Oriental Frill and Turbit judge Mr Brian Coulson. 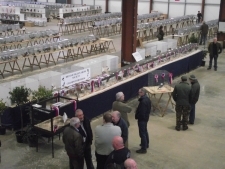 A view of the showhall from the balcony area, the balcony is due to be completed in 2013, along with the elevated function room, and the permanent catering facilities. 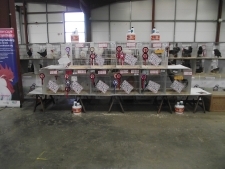 All birds on victory row, along with the pigeon victory row, win a tub of Versele-Laga "All-In-One" mineral/grit mix, a bottle of Carrs Ltd " Adherb" oregano intestinal conditioner and a tub of Harkers "Omni-vit" soluble multi-vitamin. 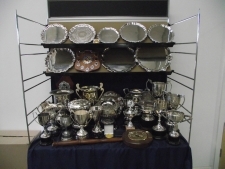 The BPSS and NPA trophies, a list of the winners can be viewed on the " Hall of Fame " page. 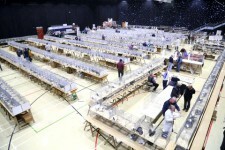 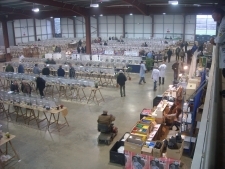 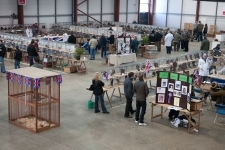 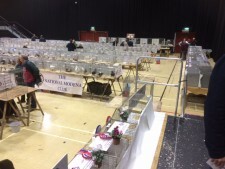 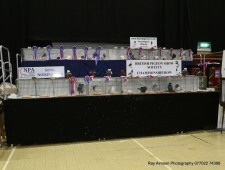 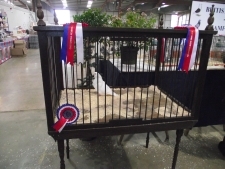 The Exhibiton & Indian Fantail Clubs, Tumbler Club and Jacobin Society all choose to have their pens arranged in a horseshoe, which has proved popular, if you would like your breed to be displayed in this fashion at the 2013 show please book early, as it requires extra space, which is now steadily being filled. 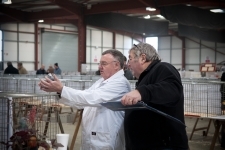 Neil Pratt and Finley Bye judging the Jacobins. 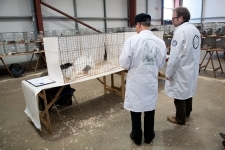 There was a large entery of Jacs, with classes being competitive. 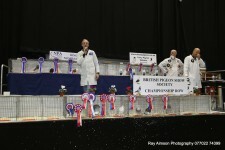 Jimmy Fitzpatrick from Scotland judging the Show Racers. 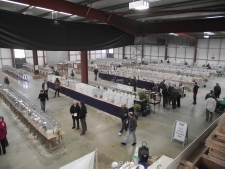 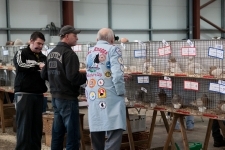 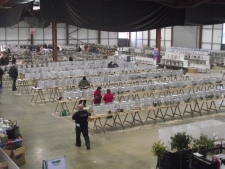 The easily recognizable judging coat of Mike Knaggs, looking over the Tumblers with Rob Gibbins & Darren Preston. 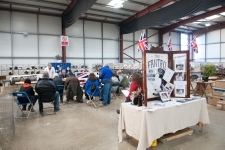 Dave Knaggs, the "Owl, Frill and Turbit Club" secretary, stood beside the club stand.